Select Series – This product line is perfect for modest remodeling projects and new home constructions. It has a large selection of stains and paints with glaze and it features overlay door offerings that range from traditional to transitional styles. Cabinets in this product line are semi-custom, allowing for some design flexibility. Premier Series – Choose Wellborn’s Premier Series if you cabinets that combine high fashion with dependable quality. Cabinets from this product line have soft close drawer slides, an extensive collection of stains and paints, and tens of thousands of finish, species, and door style combinations. Premier Series Cabinets are also backed by a Lifetime Limited Warranty. Elegant Bath Collection – This is an extensive selection of coordinated designer vanity suites that are perfect for any kind of bathroom. Wellborn offers bathroom cabinets in modern, transitional, traditional, and classic styles. These cabinets are also semi-custom and have over 30,000 door styles, species, and finish combinations. Estate Series – The Estate Series was designed for a distinguished clientele who desire nothing but the very best in every aspect of the cabinet construction. This series incorporates a wide variety of Overlay and Inset Door Offerings. The custom ColorInspire program offers thousands of paint colors from Benjamin Moore, Sherwin Williams and Valspar. An additional custom feature offered in this series is Wellborn’s You Draw It program, which allows your individual creations to become a reality. You can also count on us if you need granite countertops for your remodel. 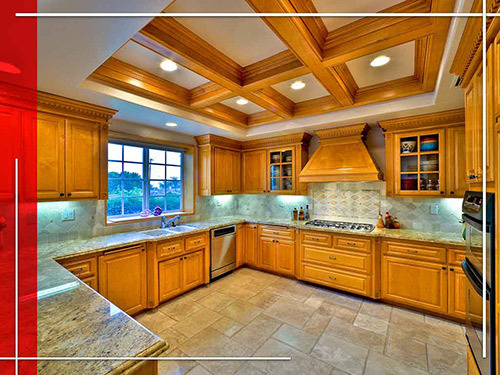 Harbour View Kitchen & Bath wants to raise the bar when it comes to cabinets and kitchen remodeling. That’s why we use only American-made cabinets designed for a lifetime of gracious living. We serve Chesapeake, VA. Call us at (757) 630-0406 to learn more about our services and products.